It seems to be pretty rare these days to see flights to Europe under $600 roundtrip after taxes, especially for peak summer dates. 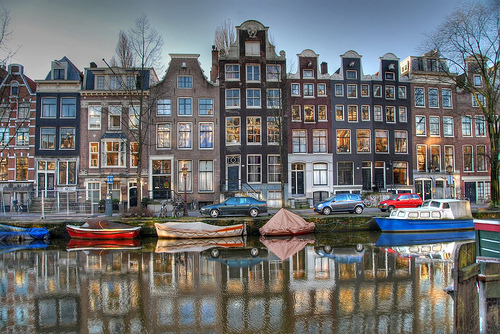 But charter airline Sunwing is offering a couple fares from Toronto to Amsterdam for $599. UPDATE @ 2:51 PM - People are reporting that they have sold out of the cheap fares for the August 23 departure. Apparently more are being requested. Note that it defaults to showing the fare for 2 passengers. Under 'Room', change the number of adults from 2 to 1 to make the total price $599. Thanks to Michael in the YYZ Deals Facebook Group for finding and sharing this deal. toronto, yyz, flight deals, europe, western europe, netherlands, central europe, sunwing, amsterdam and ams. 12 Responses to "Toronto to Amsterdam | $599 roundtrip after taxes | summer dates"
The fare seems to be one-way, not round-trip. (Is it still allowed to advertise one-way fares that require round-trip purchase?) So, it's actually $1198 total. For that price, no need to fly charters. oops! My bad, jaunt.ca site automatically defaults to 2 passengers when booking. So, it is $599 roundtrip after all. Sorry. No problem, that threw me off as well when I first took a look. It should default to 1 passenger in my opinion. Thanks for the update Dr. Millar ! I managed to get two tickets for the August 23-30 period about 30 minutes ago... thanks Chris! Jim, as Chris mentioned in the blog post update, Sunwing sold out of the cheap fares departing on August 30. Apparently they are going to be adding more of them. I was able to get 2 tickets for August 23-30 when Sunwing picked up more tickets for that date. It appears as thou they are sold out again and are only offering the June 24 date. The deal certainly existed Jim but it was time sensitive. It makes sense. Airlines set their fares for X number of seats to be available at X price. I assume the popularity of YYZ Deals also means that those fares sell out pretty quickly once they are posted! Just need to be on the ball. Yeah you have to move fast on these kinds of deals. I was literally checking my email when the deal showed up. I contacted my partner to see if he could swing the dates and it took him a few hours to get back to me - I thought for sure the deal would be gone. They usually are in about an hour. June 24 looks to have now sold out as well.